Are you a fan of conspiracy theories? You know, some strung out and lengthy piece of prose that denotes 'Person A' did something to 'Person B' using 'Item C'. Well, if you are, please be warned about this alternate 95 minute documentary made in 2011 about the 'The Beatles'. You might like it, Yeah-Yeah-Yeah! Or you may not. Now apart from the obvious musical connection, what do you think is the common denominator between the murder of John Lennon, on the 5th of December, 1980, and the attack on George Harrison, on the 30th of December, 1999? Yes. Of course I know that their respective assailants were bloody bonkers! I'm not a complete and utter fool, dear reader. What I am referring to is a pre-recorded tale that George Harrison has sent to the makers of this documentary whilst recuperating from his brash injuries. "And what could that possibly be?" you might ask yourself. 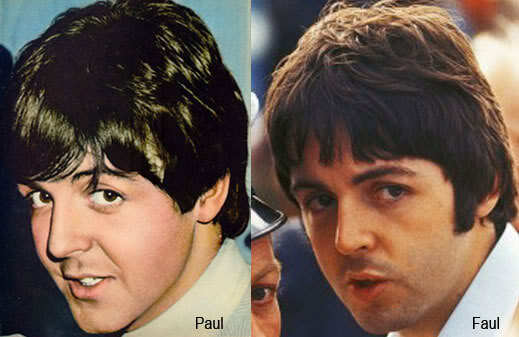 Well, it's a very intricate tale of times past: involving the death of his old pal, Paul McCartney, and how the M15 tried to cover it up by replacing him with a look-a-like called William Campbell. Regretfully, this ghastly event happened one dark and stormy night in 1966. After Paul had an argument with John at 'Abbey Road' recording studios, resulting in Paul rushing off outside, jumping into his White Aston Martin, and then accidentally crashing his car a long way down the lane. Furthermore, just to make sure that the three surviving Beatles -- John, George, and Ringo -- could protect themselves if this M15 'cover-up' were ever revealed to the public, they 'implanted' clues to Paul's replacement (nicknamed 'Faul') within the songs and the album covers they developed from then on in. Granted, on occasion, their subliminal musings were spotted by the head of the MI5 -- who was a man named Maxwell. But this didn't stop the fab-four from rocking and rolling. No way! Time and time again, they'd slip a clue within a lyric here, and a message in an album cover there, continuality alluding to the fact that Paul McCartney really is dead. 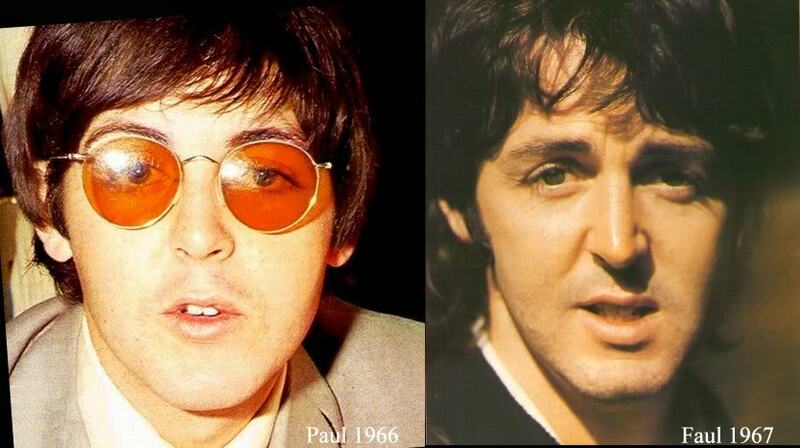 Still, that's most probably why what next transpires all makes a song and dance when Faul starts to show his face. As Beatles play a dangerous game - a theory turns out slightly lame - a DJ's eventually discovers the truth - and the last will and testament of George Harrison is released to a super-sleuth. When I first heard about 'Paul McCartney Really Is Dead: The Last Testament of George Harrison?' I honestly thought to myself that this was a good concept to satirize in a film. Not only because the subject matter in question is steeped in some sort of communal history, but it has also been proven by mock documentaries like 'The Rutles' for instance, that you can have 'a joke' with the Beatles, without being too disrespectful in the process. However, once I eventually sat down and watched this project -- nah -- 'disrespectful' is the only word I could use to define it. Listen: I am a big Beatles fan (click on link for their section); and I like to think that I know quite a bit about these down to earth scouser's who've lived one hell of an extraordinary life. Moreover, I am a big comedy buff too (ditto); and like to think that I'm fairly competent to know the difference between tasteful comedy and distasteful comedy. Therefore, once I eased back and started to assess this film with my pre-existing knowledge, it became blatantly obvious to me that the makers of this movie leaned into the concept to such an extent, they forgot to make it entertaining. Yeah. I'm afraid so. The narration by a presumed 'George Harrison' was too nasally and annoying at times. Most of the gags were too repetitive and formulaic by default. And even though the history of the group was expanded upon in a very original way, nothing else about this piece was original at all. Now do I need to go on? Oh! I do? So how's about the back-story and the factual errors associated with this project then? That might appease you just enough until I can come up with a more erstwhile conclusion. 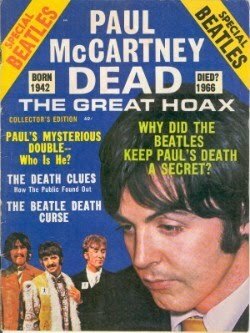 The first published rumours surrounding Paul McCartney's 'death' came to light in a Beatles fanzine printed in 1967 -- called 'The Beatles Book' -- alluding to his tragic demise in a car accident at the tail end of the previous year. 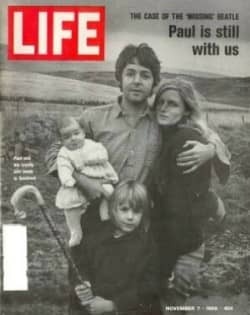 This then started to escalate a little bit more in 1969, when Paul married Linda Eastman, and the two of them distanced themselves from the rest of the band by moving to a remote farmhouse situated in Scotland. 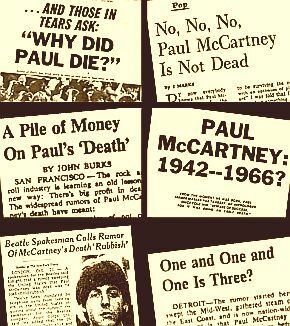 Yet, it wasn't until a newspaper article published in Iowa -- on the 17th of September, 1969 -- plus a conversation between a Detroit disc jockey and one of his callers -- on the 12th of October, 1969 -- that thing got so muddled in the media, the Beatles then publicist, Derick Taylor, had to refute this allegation by releasing a statement to the international press. Please note: This film follows very similar lines to what has been said in the aforementioned sources of information. 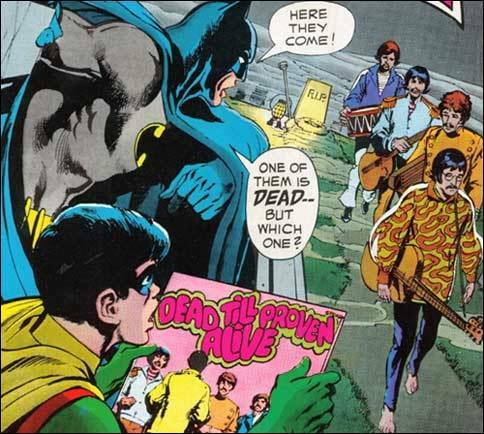 Insinuating that the Beatles tried to point the finger at 'Faul' within their songs and albums. Now just to stick the final nail in this film, what now follows are a number of factual errors I come across whilst watching it. (1) Although 'George' stated that he kept a high profile after the Beatles broke-up, the video clip used for this film was taken from a television show he was in two years before the split. (2) Heather Mills was born in 1968, so it was impossible for her to have been in the same car as Paul when he 'died' in 1966. (3) 'Abbey Road' was the Beatles last album; not 'Let it Be'. (4) Paul's Mother died of cancer whilst he was still in his early teens, so she could not have been present at his 'supposed funeral' all those years later. (5) 'Rubber Soul', 'Yesterday and Today', and 'Revolver' were all recorded and released prior to 1966, so they could not have been used by the Beatles to allude to Paul's death afterwards. 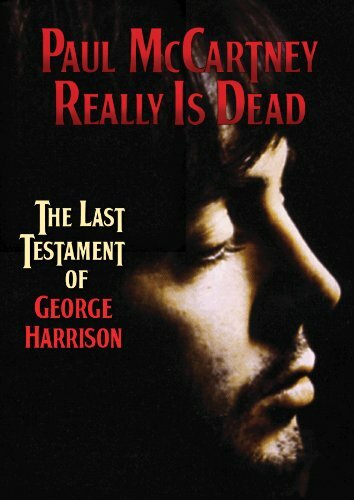 Now if you haven't guessed by now, I'm not really a huge advocate for 'Paul McCartney Really Is Dead: The Last Testament of George Harrison?'. The jokes are a tad too repetitive. The George-over-narration is very grating at times. The scope of the story is intriguing to follow, yet fails to deliver in originality. And all on all it's one of those satires I thought was going to be a lot better than it actually was.